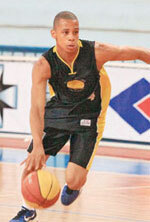 Cerrado Basquete (Liga Ouro) strengthened their roster with addition of 20-year old swingman Danilo Sena (195-99). He just played at Pinheiros (NBB)Cerrado. NBB was a little too high level for him, where in two games he did not score anything. Liga Ouro will be definitely a better match and he can see more playing time. This summer Sena played at Pinheiros (also in NBB). Despite young age he had impressive career. He won Brazilian LDB U21 League championship title in 2018. Sena was also voted Latinbasket.com All-LDB U21 League Honorable Mention in 2018. Sena represented Brazil at the South American Championships U21 in Salta (Argentina) last year.